INTEGRITY in our interactions with customers, colleagues and ourselves;..
National Reference Laboratory's vision is to increase the spectrum, coverage and overall efficiency of laboratory testing in the region, to implement international best practice reference laboratory processes and to set the benchmark for quality standards in the region. NRL was created in partnership with Laboratory Corporation of America® Holdings (LabCorp®), the world’s leading healthcare diagnostics company and operator of one of the world’s largest and most experienced clinical laboratory networks. 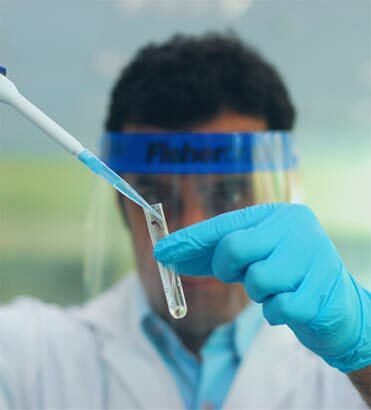 Its goal is to help improve the scope, coverage and efficiency of laboratory testing in the UAE. Together with the significant resources of LabCorp, National Reference Laboratory offers a comprehensive menu of more than 4,700 tests, providing a complete solution for all clinical testing needs in an efficient and high-quality environment that reduces both turnaround time and logistics-related costs, compared with other referral laboratories. Mubadala Investment Company (Mubadala) is a catalyst for the economic diversification of the Emirate of Abu Dhabi. The company's commercial strategy is built on the management of long-term, capital-intensive investments that deliver not only strong financial returns but tangible social benefits for the people of Abu Dhabi. In doing so, Mubadala is expanding the economic base of the Emirate and in turn significantly contributing to the growth and diversification of Abu Dhabi's economy. Laboratory Corporation of America® Holdings, an S&P 500 company, is the world’s leading healthcare diagnostics company, providing comprehensive clinical laboratory services through LabCorp Diagnostics, and end-to-end drug development support through Covance Drug Development.